Customer Strategy & Applied Design is creating a new model for a new age-we’re a creative agency and a consultancy. Creative design, state-of-the-art technology and your imagination merge here to create lasting impact for our clients. 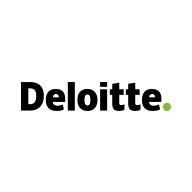 Our Deloitte strategy is to help clients define strategies, build brands, create experiences, and deliver platforms. We have put together the creative and the consultancy to provide the end-to-end services. • Creating and driving digital strategies that develop new businesses or turn around ailing ones. • Leading efforts regarding digital transformation and disruptions. • Bringing together strategic, creative and technical skills to help leaders in the public and private sector understand how innovation and digital capabilities can help transform their businesses for the better. • Four + years’ experience in consulting and/or start- ups and/or digital agency environment. • Good understanding of digital strategy and business execution via technology enablement. • Must know digital and using digital for a competitive advantage. • Product line execution - from design to launch in an oversite and technology enablement role. • Experience with introducing a new digital brand within an existing business. • Experience leading value proposition design, market and competitive research, and in leading groups in workshop environments. • Demonstrated understanding of the adoption of technology and its impact to future operating models and organizational structures. • Demonstrated experience with technology design and implementation. • B2B and manufacturing industry experience is preferred. • An advanced degree in an area of specialization.